Originally from London, UK, the multi-talented artist, producer, and songwriter Bionic steps into the music arena with an incandescent style of melody that is sure to warm the hearts of symphonic devotees and fans of the fine arts. Bionic’s claim to becoming a household name lies in his raw talent and inventiveness. 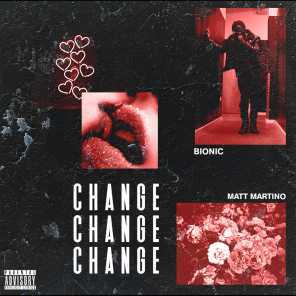 The young maestro recently released his debut single Change, which features Matt Martino. Change is an incredible tune! Bionic’s uniquely crafted skill as a producer makes Change one of the finest songs that popular music has to offer. Change carries additional trimmings of electronica, R&B, and soul music genres. The song’s structure is charmingly simple, yet greatly enhanced by its exotic instrumentation and drum programming. Matt Martino puts the icing on the cake with a perfect vocal performance. Change possesses a real-to-life theme about the evolution of a relationship based on personal experiences, a topic that is understood by people from all walks of life. Change is an eclectic masterpiece that is too memorable to miss. Praise The Lord by Fredy Sutrisno Is A Masterpiece!